When Reggie Branch was a rising senior at Seminole High School in Sanford, FL, his coach – Emory Blake, Jeff’s father – sent his highlight tape to East Carolina, where then-coach Pat Dye eagerly awaited a peek at yet another standout Seminole product. Dye knew that if Branch was even half the player that the last Seminole prospect – Anthony Collins – was, then ECU was in for a great ball player in Branch. But, a funny thing happened for Branch on his way to ECU. Dye left for Wyoming and Coach Ed Emory came in and wanted nothing to do with anything Dye had his hands on. The tape, allegedly, went into the circular file and, at least for a while, so did Branch’s future with East Carolina. Branch would take a round about route to East Carolina, but it was that hard path that helped formulate the man and player he would become. Not only would he turn out to be a key player on the famed Pirates team of 1983, but he would go on to Super Bowl glory with the Washington Redskins. He was the consummate role player, so much so that he carved out a lengthy NFL career based on it. His family tree brought him to ECU, but through his play and his heart, he etched his own name into Pirate lore. “My senior year, my family was always talking about Tony Collins this and Tony Collins that,” Branch said of his uncle, a former Pirate great and star NFL running back. “They would say, ‘Look at Tony, he is in college on a scholarship at East Carolina.’ So, I started thinking, you know, if he can go to college, I can go to college too. Following in the footsteps of Collins at Seminole high would be task enough for the talented prep tailback, let alone making it big in the college ranks. Though Branch always looked in front of himself to see better athletes, it was what he found inside that paved the way from backyard baller to NFL standout. His brother Herbert was a star for Seminole and a bigger star in the eyes of his kid brother, Reggie, who looked to him for adult male guidance. Branch’s father was never really part of his family and died before Branch was old enough to bond with the man the way he would have liked to. “You know, I never really knew my dad,” Branch said. “But, what is was like was people would point him out and say, ‘That’s your daddy.’ So, I kind of knew him, but didn’t really know him. I was always kind of scared to go up and talk to him. "I remember that I was about eight years old and I heard that my dad had died of asthma. And, even though I didn’t really know him, I cried and cried and cried… it really hurt. Honestly, that is why I always tell people to appreciate what you have, especially a person like your father, because all of the sudden, he could be gone. Branch looked to Herbert to be his surrogate father in the world of sports. In his own way, his older brother prodded the younger brother to the football field. Branch went out and made the team, though he chuckles when he admits that the coach wasn’t cutting anyone on that squad. Of course, though he had the desire, he was a little lost on that first day. Where his brother was his football inspiration, Branch turned to his mom, Annie Mae, for guidance, and there were some others that were key in his development as a youth. And while Branch spent his freshman season at Seminole figuring himself out, Blake was already aware of the younger Branch boy. And Blake was present at important times for the Branch boys. When Branch moved up to the 10th grade, Blake saw his potential and skipped him up to the varsity. Though his team was successful and he was a successful part of his team, the offers didn’t role in for Branch… not the big schools. And Branch, who knew his home situation wouldn’t afford him the luxury to go on a partial or to walk on, looked for a future on his own. Before Branch could make his way to the enlistment center, fate intervened, albeit in a round about way. But, as Branch would learn, things are not always as they appear. He packed his bags for West Virginia. And it was not just the fact that the school’s coaches misled him, it was also just not the right fit for a player of his caliber. His career at West Virginia State was short-lived. Branch left the hospital with a clear decision. He finished his first year at West Virginia State. All the while, he was corresponding with the coaching staff at New Mexico and mentally preparing to head west. But sometimes, fate intervenes and people are swept to where they should be. A summer trip home turned out to be Branch’s East Carolina calling. Collins, who went on to star with the New England Patriots, and his nephew hit the weight room. It was head coach Ed Emory, Collins told Branch. Insulted? 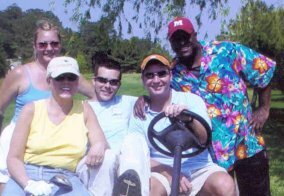 Maybe a little, but excitement was the emotion that ruled the moment and the next day, Branch went down to Emory’s office. “To be honest, I was like if Tony (Collins) went there, East Carolina had to be a great college,” Branch said. “In West Virginia, they didn’t even have a weight room. At ECU, I am looking at everything, the practice field, the weight room, a nice stadium and everyone was competitive. So, I said to myself, ‘I gotta come here.’ I knew I was going to love East Carolina and then driving through North Carolina, people were waving at you and I just figured it was the hospitality around here. 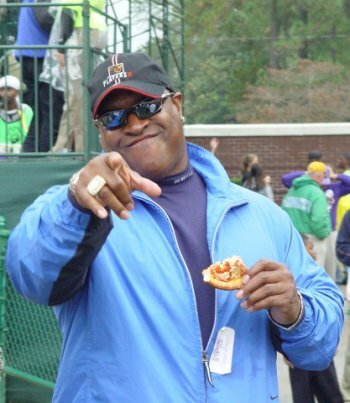 Branch arrived at ECU in 1981 to a redshirt and a position on the scout team. And he made the most of that chance. On the scout team, Branch got a chance to learn just about every position as well as gain the confidence needed to excel in the lineup. But that is where Branch stayed until his redshirt sophomore season. It was then that Branch found that a position change was in the making. And, it showed. Emory was afforded the luxury of going with a speed backfield, or a hands backfield, or a power backfield… the combinations were there to make adjustments that most teams could not do. For Branch, that season, 1982, was a strong sign of things to come and he was not totally caught off guard by the success that came his junior season. “I looked at it like we had an all-around solid team,” he said. “We had Henry Williams, who could break one at any time. Over on the defense we had guys like Steve Hamilton, Jeff Pegues, Clint Harris, Kenny Phillips, Mike Grant… all those guys were great and then guys like Calvin and Stefon Adams and the guys behind those guys were great. These guys all could have played at any Division I school, that is the kind of talent we had on that team. 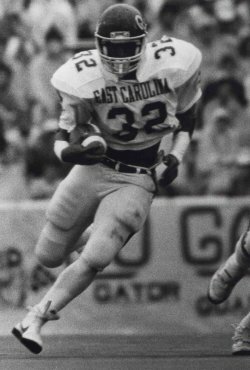 The ’82 team forged a 7-4 record, but more than that, the team was taking account of the reputation that ECU had around the nation. Disrespect would be a mild term. Though he played plenty during the Florida games, it was Byner’s year to shine and Branch respected that. But, like in the FSU game, he had his moments at fullback. And though the Pirates lost the game 24-17, it was not for lack of offense. Branch, like he had been since he was in high school, was the true soldier… taking on his role as if he was the star of the team. He made special teams and backup fullback a position of high regard on Emory’s legendary ’83 squad. And what he witnessed after that season gave him all the impetus he needed to ratchet up his own football expectations. And, there was that long-time motivator in the Branch family. “Of course my family all the time talked about Tony (Collins) going pro to the New England Patriots in the 2nd round,” he laughed. “I felt like if he could go pro, then I could go pro. Getting from there to the pros were all the guys I played with… from EB to Terry Long to Jody Schulz and some of these guys also went to the USFL and the Canadian Football League and I wouldn’t have minded going there either. 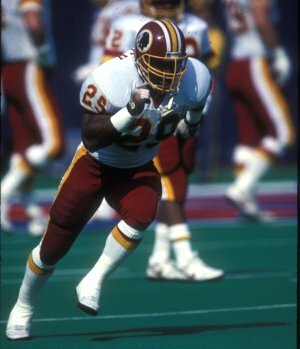 Though he returned for the 1984 season knowing that the team was going to be considerably less experienced, Branch had a renewed feeling that he could make his way to the NFL. He had seen many teammates excelling on the next level and he was inspired, though realistic. “The ’84 season… it was tough because we had a lot guys leave and a lot of new guys stepping in who were not ready,” Branch recalled. “We didn’t have a lot of experience and I knew it was going to be hard to do what we did in 1983. I tried to be a leader and teach them the way we had been taught before. I could have played another year and I played to the best of my ability, but we didn’t have a defense. We lost a lot of guys the year before and we all knew it was going to be a tougher year. Branch saw a marked increase in his touches, but also was the significant blocking back in the backfield, leading the way for Baker. During the season, as the team found winning difficult, Branch stopped thinking about the NFL, but never relented in his on-field work ethic. While his thoughts of the next level ebbed, folks in the NFL hadn’t forgotten about him. “That year, I started getting letters from a lot of teams,” he recalled. “I was getting letters from New England, Pittsburgh, the Jets, the Giants, Tampa Bay and Dallas. You know, I don’t think I got anything from the Redskins. These letters… man they sounded so good, they said stuff like, we’re checking you out. You know, I didn’t get many letters in high school, but I was getting them consistently from the NFL and man, I saved all those letters, just in case people inquire and they do. Though he was getting letters, he felt his dream may have ended when with two games remaining in the season, he injured his ankle. Though he didn’t get the level of personal attention, he did start to get pestered by an agent, who he admits he should never have signed up with. As was the case many times, teams were telling Branch that they liked him and that they might pick him, but the call would never come. “I had teams calling before the draft and Dallas even sent a guy to Greenville to hang out with me, Damon and Jimmy Walden,” Branch said. “They ended up going to Dallas, but I knew Dallas was trying hard and they were bringing in so many guys that they weren’t even getting a chance to practice. So, I was like, ‘I’m waiting for something else.’ The truth is that I did stay by the phone, but the only call I got was from Washington, who said they wanted me to come to their camp. Alan had advised me to go there anyway because Steve and Jeff were there and that the team put a special emphasis on special teams. Branch decided that if he were to make an NFL team, Washington was the most likely place to do it. He had a comfort zone with Steve Hamilton and Jeff Pegues already there for a year and he felt that his lifelong dedication to doing whatever the team needs would serve him well. Branch headed to his first professional team meeting on a mission. Knowing that he was up against a legendary special teams player and a couple of other proven guys he knew he had to do something to stand out. Branch had done what it took to get noticed and felt good when the Turk starting making his rounds. For most guys, to be cut would probably end the dream and for a while, Branch thought that he was done. But the instincts that brought him to Washington in the first place served him well. He went to the Redskins, in part, because he had a pair of his Pirate teammates on his side. The fact that Gibbs took his call should have signaled Branch to something, but if it didn’t, the Redskins' game the following week at Chicago definitely did. And the phone did ring on Monday. Retrospective might have diminished his own appreciation of what he did… really. He willed his way into the NFL. But, he recalls that when prodded. “I’ll tell you it wasn’t easy,” he said. “I did everything this coach asked me to do, but there are other coaches involved and they get attached to players like Wonsley. I understood getting cut, but it comes to a point where they had to bring me back in. That is the business. I was making plays. When he thinks back, Branch is almost amazed at how it went down. “The thing about it, I molded myself to the player Coach Gibbs wanted,” he said. “I thought he wanted that. You know what, when Coach cuts you after you have done everything he asked, all you can do is walk away. Coach Gibbs was impressed when I called… he was like ‘Who would make that call?’ That was a gift of God that came through Ham to get me to do that. I was ready to go home and then I’m a Redskins’ player. “Now… I have to tell you that the next year in camp, I knew it was going to come down to me and Otis and Pete again, but this time, I was like, ‘Their chances are like my chances and I came to take this position,’” he said. 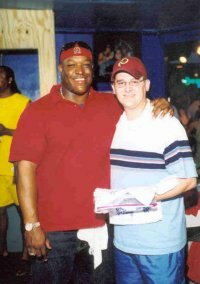 “We came out after Christmas and worked out at Redskin Park. Everyone else went on vacation, but I stayed and concentrated on what I had to do to be on this team. Next thing you know, season starts, and I had done what I had to do. It comes down to last cut time and you know what? I can’t lie… they let me go again. To his credit, Branch didn’t let pride keep him from going through the routine again, but this time, he couldn’t have been more surprised when he showed up at Redskins Park. Branch couldn’t believe his ears. After all, he was really only a second year player and hadn’t even spent his first season on the roster for its entirety. And, he learned even more from some of his teammates who didn’t quite get it. Branch turned his two partial seasons into a career that spanned seven years, brought him a Super Bowl ring, and saw his name made synonymous with outstanding special teams play. And when asked, Branch’s best memories are those playoff games. “I tell you what, it is hard to remember what games stand out,” he said. “What I do remember is playing in the playoffs. We had to play against the Giants, with the wind blowing, and it came down to the 4th quarter. We were sure we would win, but they came out and beat us. That was my second year and we had the opportunity to beat the Giants and we would be in the Super Bowl. Branch and his comrades got it right the next time around. “After that second year, I felt like I was on the team, really,” he said. “I became the special teams captain and I remember walking out there with Doug Williams for the coin toss at the Super Bowl and thinking, ‘My God… I’m in the Super Bowl.’ It was my third year and I was a Super Bowl champion and the special teams MVP. He often reflects on the parallels between his collegiate and professional careers… noting that he was part of two very special eras in football. Branch feels that he was part of the East Carolina team that bridged the gap between East Carolina’s dominance of lower echelon football to the biggest of big-time Division I football. And of his Redskins career? “Seven years, man, a Super Bowl ring, special teams player of the year,” he said. “I couldn’t ask for more. Sometimes I think about if I was playing now, where guys who are special teams stars are making millions… man. But really, everyone played because they love the game, just like in college. That was what it was and that is what I tell everyone today. Sure, I wish I had a signing bonus like the players are getting today, but I can’t complain. Shoot, just getting John Madden to say your name during a broadcast, that’s something. And Coach Gibbs valued the special teams player and valued my contributions. “After I retired, I didn’t know what I wanted to do,” Branch said. “It was tough to hang out with the guys I played with because they were still playing and they were all saying I should still be playing. It was very hard to watch them play every Sunday. I didn’t even tell my agent I was going to retire because I wanted to do it myself. I came up to Dewey Beach (Delaware). There, Branch began managing a popular restaurant called the Starboard, where his football fame has served him well with the staff and customers. At the restaurant, Branch keeps everything in order, but he admits a lot of his role is simply being Reggie Branch and showing folks a good time. “What I care about are the people,” he said.